Perla's now has two beautiful halls to choose from! 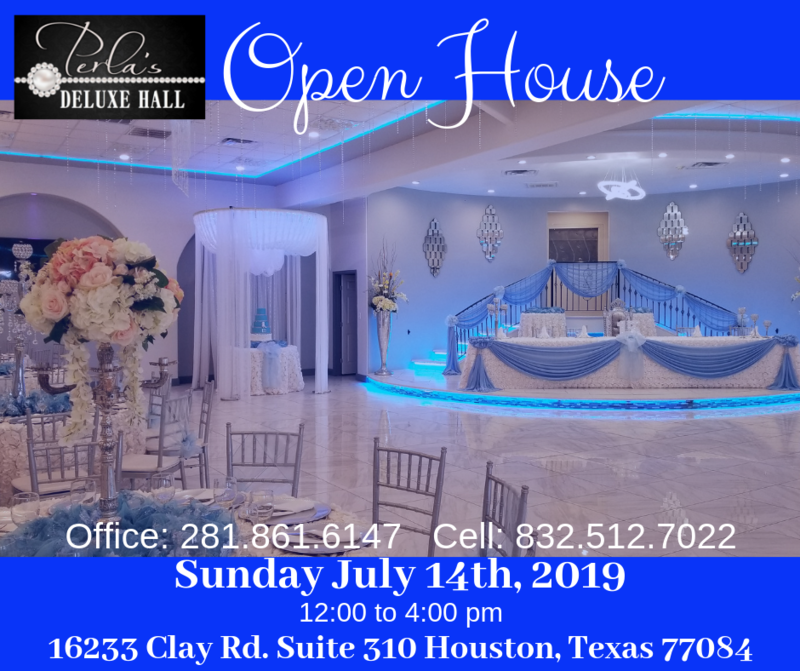 Perlas DELUXE Hall is an elegant reception hall designed with great expectations. Our goal is simple... to make your special moments effortless and trouble free as possible as you plan your special event. The event planning experts at Perlas DELUXE Hall will handle all the details of your special occasion from beginning to end. Our team will provide personalized one-on-one consulting just for you. We provide special packages to accommodate any kind of event and every budget. We have on-site police officers for every event. Come by one of our many open houses and see all the colors we can decorate with! Call for dates!